Cape Town, South Africa. Friday 28-October-2011. Our first trip to South Africa for two years, since our wedding anniversary in 2009 in fact. Again the timing was planned to allow us to celebrate our actual anniversary in South Africa. This time in Cape Town which we had not yet visited despite this being our fifth trip to South Africa. 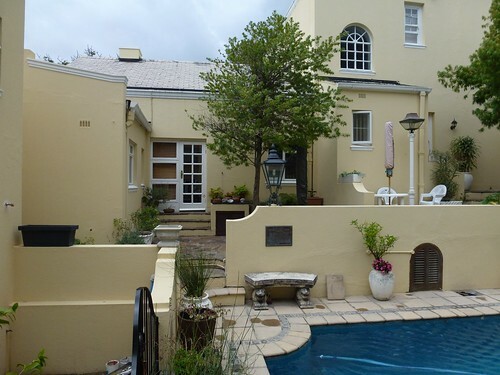 After doing the tourist thing in Cape Town for four days (blog posts to follow) we went down to our apartment in Hermanus to investigate putting it on the market. It has not really been bringing in anywhere near enough rental to cover its costs and we have not been getting the use of it ourselves, partly because of our busy lives and partly the cost of the flights. We also needed to find new agents to manage it for us. We sacked the previous agent (don't ask) and our friends Percy and Ronel had been holding the fort for us. As they are tourist guides and coming into their busy season it would not be fair to impose on them any longer. Our plan was to find a local agent who could do the meet-and-greet and arrange cleaning and laundry which we did - more anon. 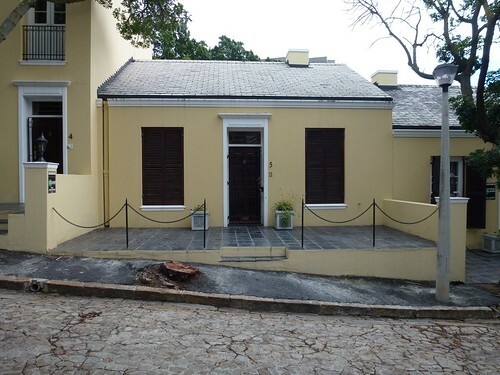 Mary found us an excellent and characterful apartment just 10 minutes walk from the historic V & A waterfront - Green Point holiday cottage. It was great to be in such a historic building and really convenient for a short stroll into the V & A Waterfront which we did on a daily basis for the sights and the restaurants. These cottages form part of the original quarters, barn, and farm workers homes erected about 1815 and attached to the De Goede Verwachting. 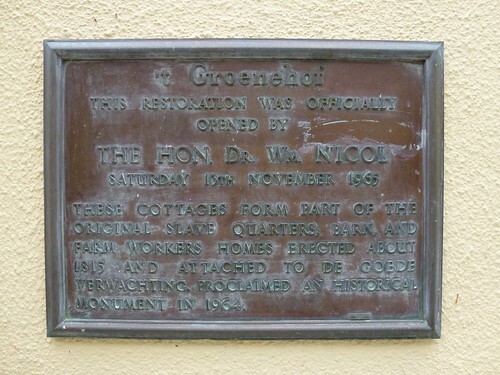 Proclaimed to be an historic monument in 1964. Thank you so much for sharing this post, it sounds like you had an amazing time in South Africa.